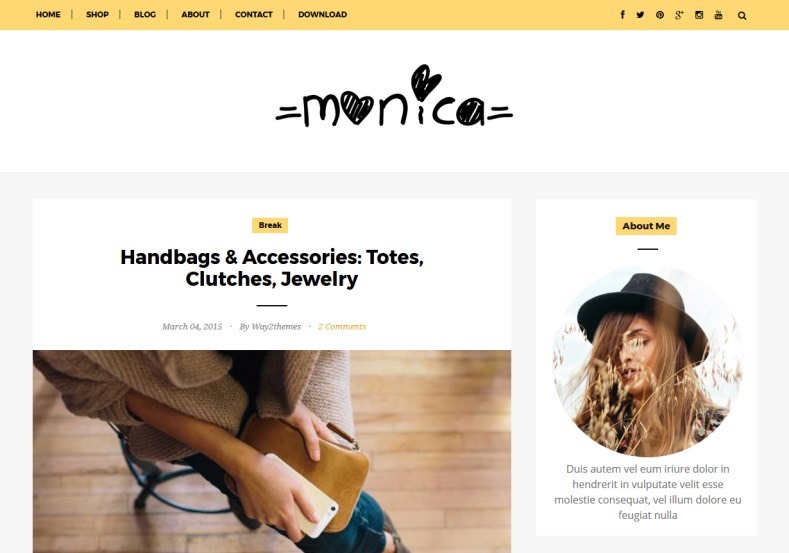 Monica Clean blogger template comes with simple, unique and attractive design. This template specially designed for who love fashion, photography, and blog about lifestyle. Some features are.. Yellow, Fashion, Photography, Personal Pages, Unique, Minimalist, Magazine, Post Thumbnails, Social Bookmark Ready, Responsive, Ads Ready, Drop Down Menu, Seo Ready, White.